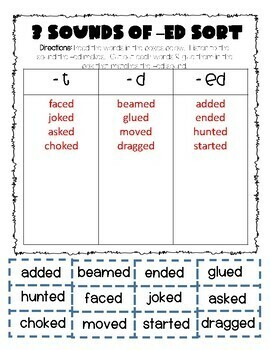 This printable allows children to practice identifying the sound -ed makes at the end of the word. 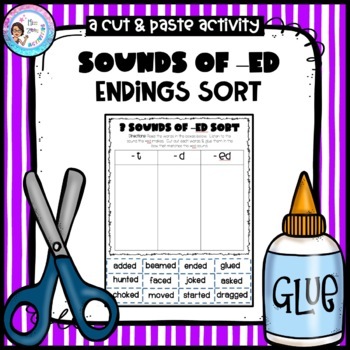 They cut and paste depending on what sound the -ed makes: d, t, or ed. 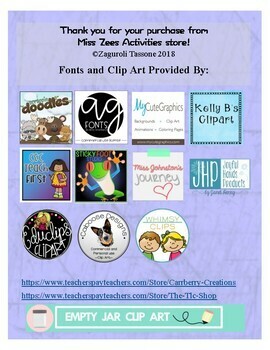 Can be used as practice or an assessment.